Join Mohegan Sun for all of the daytime games on the first football Sunday of the 2015 NFL season inside the Uncas Ballroom on Sunday, September 13th. 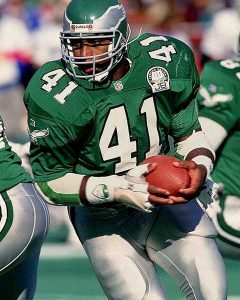 WHAT: Former professional football star and sports TV analyst Keith Byars comes to Mohegan Sun on Monday, September 9th for a Signings & Sightings event inside Bow & Arrow Sports Bar. WHAT: Celebrate Connecticut Days with a touchdown when Mohegan Sun’s Signings & Sightings presents a special appearance by two Connecticut natives and players for the New England Patriots, Aaron Hernandez and Niko Koutouvides.